My property is situated on an approximately 5400 sq/ft lot. After subtracting the footprint of the house, backyard deck, side yard (with no grass), and driveway, I'd estimate about 1000-1500 sq/ft of grass that requires cutting. The garage is large and fairly clutter-free. There is enough garage space to store a lawn mower. There is also plenty of built-in cabinet space for other items like weed-killer. There are no obstructions in the backyard and small fountain and tree in the front yard. Both patches of grass are rectangular. I am almost 30 years old and fairly fit. Enough that physically mowing a lawn is not an issue. As part of my chores as a kid, I mowed my parent's lawn, so I know the basics. Since California is in the midst of a drought, we are considering replacing parts of our lawn with drought tolerant plants and mulch. 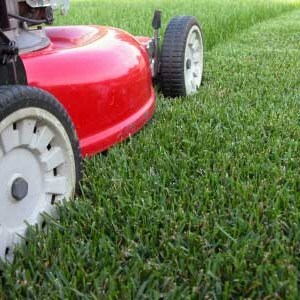 The going rate for the local lawn service to cut the grass is around $50 per month. The service includes maintenance of the lawn twice a month. The price does not include trimming the bushes or maintaining flower beds. On Amazon, fairly well reviewed corded lawn mowers cost about $160 and cordless lawn mowers cost about $300. I drive a Toyota Camry Hybrid and know the battery adds substantial weight to the car. In the same logic, the battery on a cordless lawn mower adds weight as well. I've found on average, a battery powered lawn mower will be twice the weight of a corded lawn mower. My lawn size is small enough that I only require one charge. What happens when the battery begins to reach it's end (won't hold a full charge)? Will I have to spend more money on a new battery? A corded lawn mower might be annoying. I'm imagining how often the power cord gets in the way when I use to vacuum (also a childhood chore). A vacuum requires on hand, but a lawn mower requires two. Taking all the above into consideration, I decided if I were to mow my own lawn, I'd go with the more affordable corded lawn mower. With only a tree and small fountain plus a small lawn (~1000-1500 sq/ft), I don't think it will drive me crazy. Now, to decide if I should mow the lawn myself with a corded lawn mower? I roughly estimate mowing the lawn and cleaning up will take about 90 minutes each mow. I can get a bit of exercise when I mow the lawn. I can enjoy the daylight instead of staying indoors. I am not required to cut the lawn every two weeks, I can work on my own schedule. At $50 a cut and $150 for the lawn mower, I would break even in just 3 months (or 6 cuts). Every cut after 3 months is a dinner out for 2 or a new computer game! The lawn will look much better if the professionals do it. I ultimately decided to experiment and cut the lawn myself. I've read many argue that because they earn more than it costs to hire someone, it's not worth their time. My problem with that argument is I don't make money 24x7. If I had to choose between working or mowing my lawn, then I would hire the lawn service. However, because I'm not working 24x7, I view it as myself making more money, but at a lesser rate per hour. I've ordered an GreenWorks 25022 12 Amp 20-in 3-in-1 Electric Lawn Mower for $165.67 (includes tax and free shipping) from Amazon. As the time of my purchase, the GreenWorks 25022 received 4.5 stars (out of 5) with 444 reviews. If I decide after 3 months I do not enjoy lawn mowing, it would not have cost me much money out of pocket. I can then hire the lawn service.